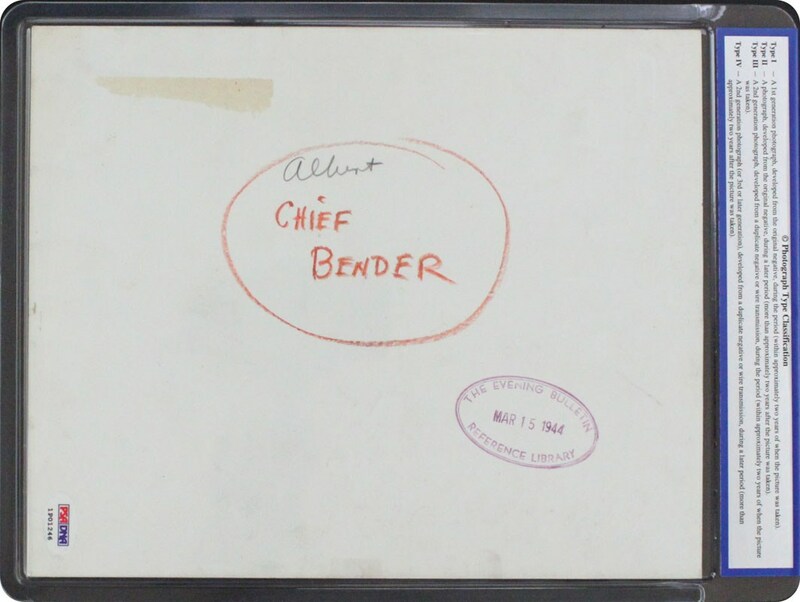 Hall of Famer "Chief" Albert Bender was the author of over 200 victories and four single season E.R.A. 's less than 2.00. 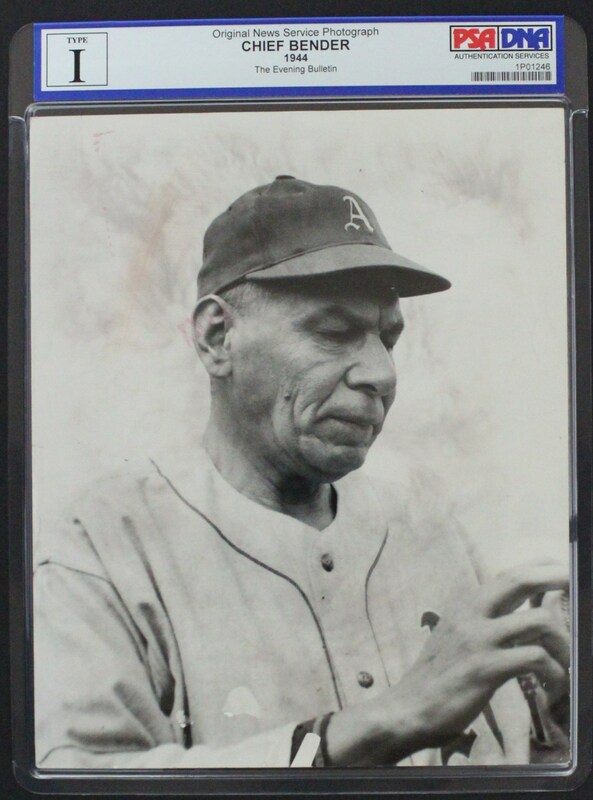 Bender was called upon "time after time" by Connie Mack to deliver a crucial World Series win, and typically did not disappoint his immortal manager, winning 6 World Series games in assisting the A's in winning three World Series titles. 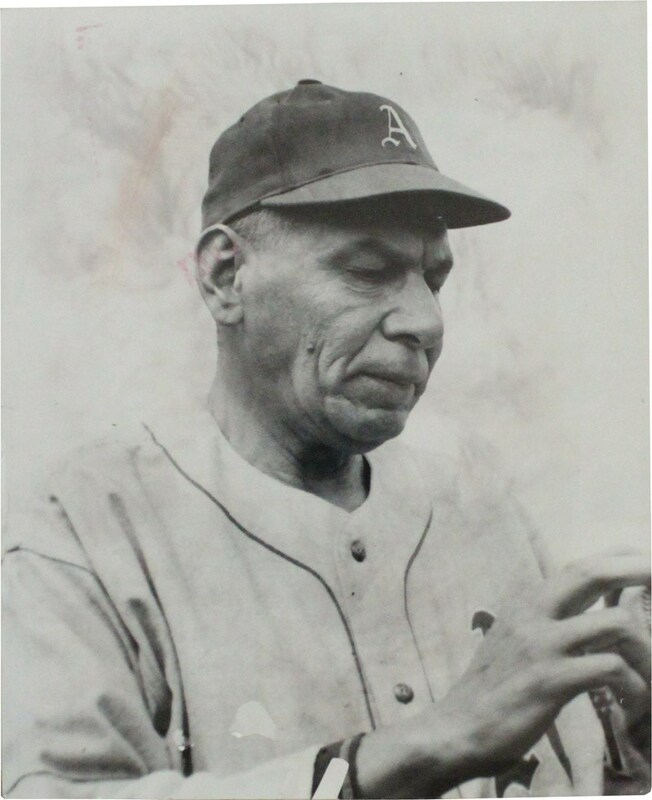 This amazing PSA Type 1 1944 photo of the Cooperstown Inductee portrays the legendary hurler as an Athletics coach, most likely showing a youthful pitcher one of his classic grips that led to so many "swings and misses' during his illustrious career.